Bright colorblocking on the hood and sleeves adds sporty appeal, while the 2×2 rib knit details make it modern. Colorfastness and minimal shrinkage means this soft sweatshirt will keep its great look and fit. 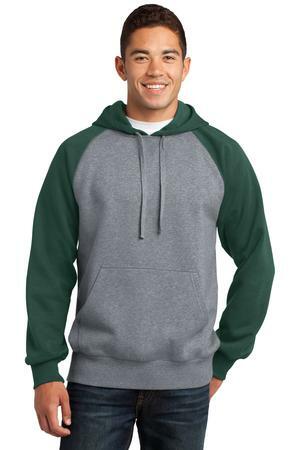 Be the first to review “Sport-Tek Raglan Colorblock Pullover Hooded Sweatshirt Style ST267” Click here to cancel reply.